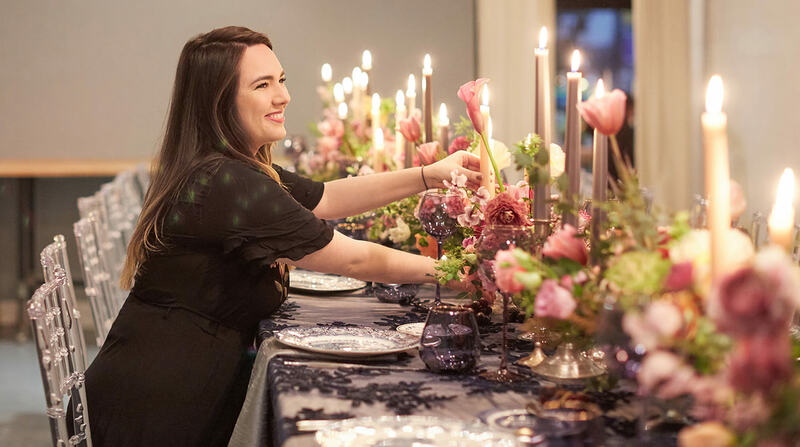 This 3-Day Event Planning series is for florists, caterers, event planners – or anyone planning an event such as florists looking to take a bigger role in their events or individuals looking to become a planner. Students will learn the workflow, fundamentals and best way to realize a fully planned event. In this simulated project management course, we will show you how to plan an event from start to finish. You will meet your Client, and learn how to create layouts, timelines, and budgets, as well as the many elements of design. You will also learn about vendor relations and get to meet real industry professionals.